At last, the long wait for the Philippine release of the second installment of the Chipmunks franchise had come to a conclusion as it will grace the theaters of Philippine cinema this January. I enjoyed watching the first movie and I'm really looking forward for this second one. And It didn't fail me. 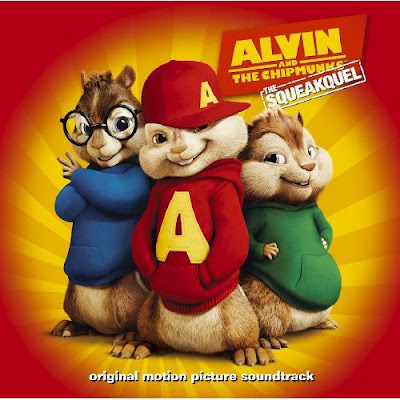 Alvin and the Chipmunks are currently enjoying the fame of being pop stars and celebrity. 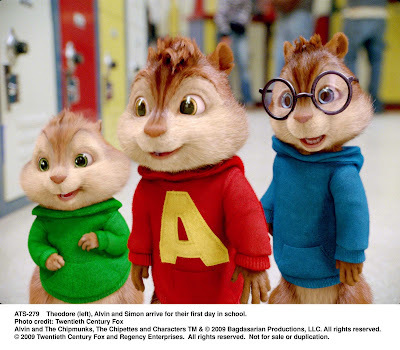 But one day, everything changes when Dave Seville (Jason Lee) decided to let the Chipmunks attend school. While Dave is out because of an accident during the Chipmunk's benefit concert in Paris, the trio is given to his cousin Toby's (Zachary Levi) guidance. 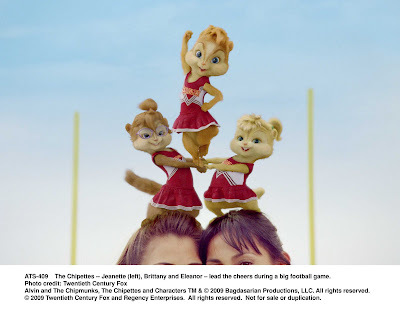 Experiencing high school life, girls, bullies, sports, heart break and brotherly fights, Chipmunks didn't know that they are about to face the far more worst - the Chipettes and the return of Ian Hawke (David Cross). There are nothing so special about the story. It is simple and actually very predictable. The movie is written specially for kids. But the characters gave the movie that spark that makes me enjoy the film a lot more. I like how they push the limits of CUTESY on the chipmunks specially to Theodore (Jesse McCartney) and Eleanor (Amy Poehler) . Your heart will literally melt on all of their scenes. All you can hear inside the cinema during Theodore's cute scenes are "Awwww, so cute. I wish I can take Theodore home" things like that. Because of that I'm wondering why there are no Happy meal toys for this film. After casting Jason Lee as Dave Seville on the first movie, now the production cast another TV sensation. 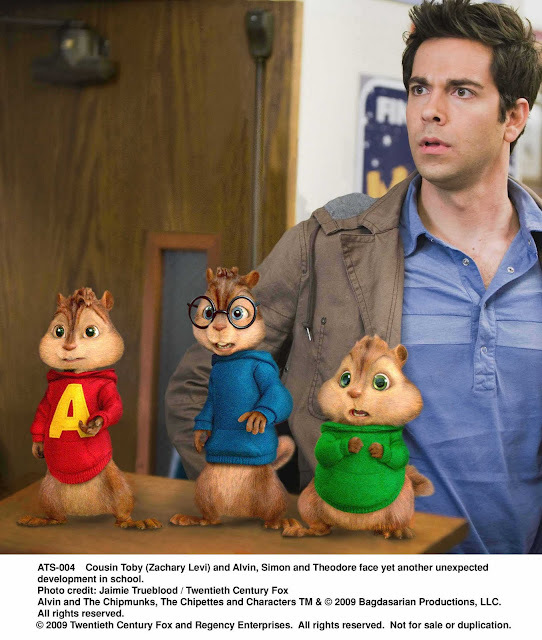 Known as Chuck Bartowski on the critically acclaimed Chuck, Zachary Levi is now Toby Seville, Dave Seville's cousin and the temporary guardian to the Chipmunks. Unlike Dave, Toby is more like a brother than a parent. Zach did a good job adding to the comedy but just like the first movie the human characters are more like supporting cast than main cast. And lastly the movie is nothing without the official soundtrack that really makes the whole package special. With a total of 15 tracks including Katy Perry's "Hot N Cold", Beyonce's "Single Ladies", the classic Sister Sledge hit "We are Family" and a lot more. Of course performed in Chipmunks fashion and style. The soundtrack is already in stores produced by Rhino Records. Despite the weak and predictable plot, Alvin and the Chipmunks The Squeakquel had proven its worth as a musical film that everyone in all ages can enjoy. Has good mix of classic and modern tunes that will surely leave everybody dancing and singing a long with the cast. “Alvin and the Chipmunks 2: The Squeakquel” opens January 8 in theaters nationwide from 20th Century Fox to be distributed by Warner Bros.